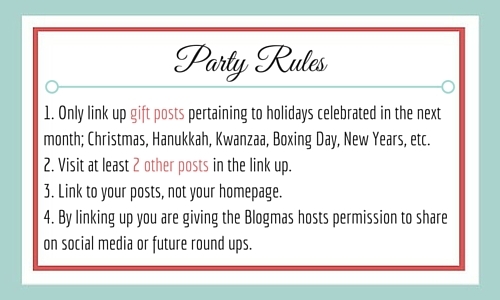 It’s time for another week of Blogmas! This week we’re focusing on gifts. Glad you asked! 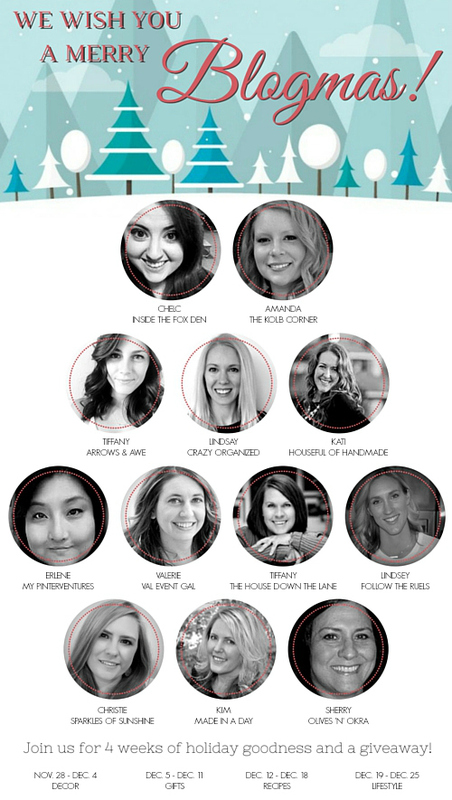 Blogmas is a 4 week blog event, created by Chelc at Inside the Fox Den and Amanda at The Kolb Corner! Starting today and going until December 26, we will have a link up every Saturday dedicated to a specific theme; décor, gifts, recipes, and lifestyle. With the holidays fast approaching, we want to have an outlet for us, and you, to share your festive creativity and get some awesome inspiration! We’ll also be giving away a gift basket filled with goodies hand selected by the hosts!